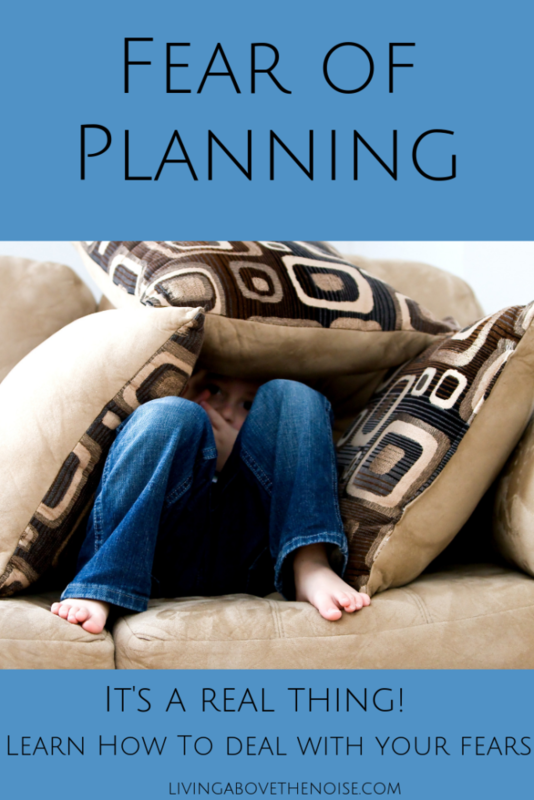 You are here: Home / Planning / Why You Need A Plan / Fear Of Planning — It’s A Real Thing! Guess what?! There really is such a thing as the fear of planning! You know that feeling — you want to fill out the next week in your planner but you’re gripped with panic from not knowing what to put on your to-do list. You feel the apprehension of putting something on a wrong day and risking it won’t get done. Then what?! Teleophobia, also spelled “Telophobia,” is the unreasonable and irrational fear of making definite plans and may also extend to the fear of religious rituals, such as weddings, funerals, and Sunday services. It is seemingly related to a fear of losing control and is similar to the fear of confinement or of making commitments. The person feels restricted or tied down by other people’s agendas. Oh my, do I know what this fear feels like! I’ve always been hesitant to move forward in my plans — I guess it’s my “hyper-responsible” tendency always wanting to do the “right” thing! But by committing to a year of planning, I’m actually overcoming my fear and finding it’s getting easier to go with the flow and just get things done! My Start Of The Year — It Didn’t Go Off With A Bang! We’re finally got Christmas “put away” in our house with January winding down! Yup…we took our time! ;) But time and circumstances (and still enjoying the twinkling lights!) slowed us w-a-y down as our family and extended family got the virus RSV. Not a good thing to get sick when all I wanted is do was run into the New Year! Every day we have way more control than I’m sure we actually like! But not total control. We have control over what we add to our to-do list and onto our schedules. We have control over how we handle the multitude of responsibilities in our sphere of influence. And we have control over how we handle what doesn’t go our way. Be encouraged to get on with it. Get excited to begin the year running. Don’t be afraid to have lots of goals. 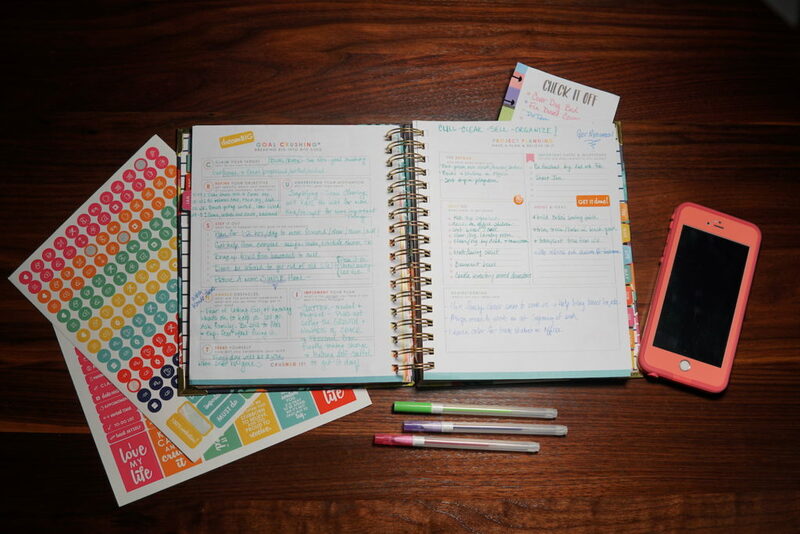 Just don’t expect it to go exactly the way you expected when you wrote in those little boxes in your planner! Really, it’s o-k-a-y! Picture how discouraging it is when you have a great plan underway but then you get sick — or your cat gets hurt and that means a trip to the vet — or you get a flat tire — or the dishwasher backs up just as you were planning to get those thank-you notes written, or clean the closets, or create your business plan! Life happens. In order to know what to do every day we need a plan, and that starts with having goals. To turn goals into reality, we have to list out the necessary tasks. To get those tasks done, they need to go on a calendar, and preferably on a specific week or day! Here’s the kicker — the reality is this — we will see things get bumped on our schedule. And often. Is it that I really wanted a perfect schedule over a practical one? Possibly I just want things to go my way and not anyone else’s? Be flexible. Don’t stress. Plan anyway. Think about all the explorers, scientists, and inventors who made headway one day only to have their plans disrupted the next. The key is — it didn’t stop them! Envisioning a better day or life or relationship will move us forward. We’re like the explorers — we’re just exploring our own life and where we’re headed. It might not turn out exactly how we planned or perfectly on our timetable, but we are moving forward. So stay the course! I got so busy last month that I missed posting my planner progress. Yes, I was not organized and let Christmas prep get the best of me! But I did have one goal — to enjoy the month celebrating with family and friends. We clocked in 6 parties in December, had 34 people in our home for New Year’s and each party and person was enjoyed to the fullest. So in the end, it was a win! Don’t let the Fear of Planning stop you. ~ Failure to meet your goals or “shoulds” is okay. ~ Use them to Fuel you! ~ Look for the Wins. So, here’s to the New Year, one that produces joy and success for each one of you, in your own way and your own timing! *Zero pressure from us to purchase anything, but if you make a purchase through one of these links, you will help to support the work we do here at Living Above The Noise. I appreciate this post so much!! It makes me feel better! : ) Thanks!!! Lisa, Don’t feel bad! I think there are more of us than we know. Wanting to get things in order is great…but also wanting to get them in the right order…now that’s the tough one to let go of! But I’m realizing each day, doing just one thing on my list is a move in the right direction! And that success will get me to do another tomorrow! Hang in there! And thanks for sharing.